FORT WALTON BEACH, Fla. – Recently the City of Fort Walton Beach was named a top ten city for veteran entrepreneurs in a study conducted by USAA and the U.S. Chamber of Commerce. To support the veteran entrepreneurship community within the Emerald Coast, Venture Hive Fort Walton Beach is now accepting applications for its 2016 Venture Hive Veterans Program. The program aims to connect highly qualified veteran, military dependent-led businesses or concepts from Department of Defense employees from the Fort Walton Beach and NW Florida area with the support and training they need to scale their businesses to the next level. The benefits of the Veteran Accelerator program include a world-class curriculum of highly practical workshops and training sessions, weekly personal mentoring from a vetted network of local, national and international entrepreneurs and experts, exposure to qualified investors , dedicated office space in our collaborative offices in Fort Walton Beach and an official Demo Day during the week of June 6, 2016. Applications for the Venture Hive Veteran Accelerator Program can be submitted online at fwb.venturehive.com. Applications will be accepted until February 12, 2016. Any U.S.-based high-growth veteran and veteran spouse-led, or Department of Defense employee owned businesses is eligible to apply. The class will run from March 14, 2016 through June 6, 2016. Companies selected to participate will be announced on February 23, 2016. 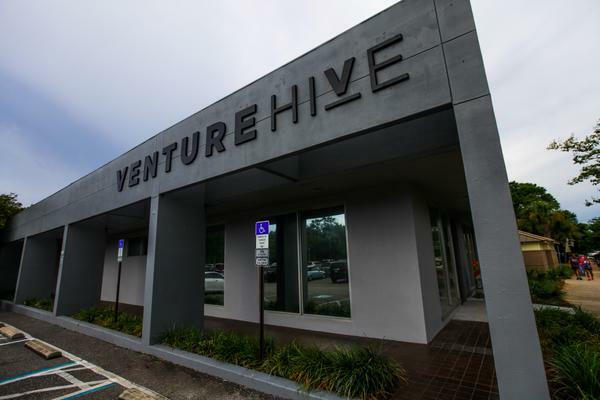 The Venture Hive Veterans Program, hosted at Venture Hive Fort Walton Beach, was inaugurated in Fall 2015 with the launch of the first class of the Venture Hive Fort Walton Beach Veterans Accelerator, an intensive on-site training program that attracted high-growth veteran-led startups from across the U.S. to move to Fort Walton Beach. The 2016 program will focus on supporting both tech and non-tech local North Florida based companies in expanding and growing their businesses. The Venture Hive Veteran Accelerator is open to Fort Walton Beach and NW Florida area businesses that are developing unique products and services to address a clear market need. To be eligible, at least one of the business’s primary founders must be a veteran, military dependent or Department of Defense employee. Participants should be prepared to devote 15-plus hours a week during the program to training and mentoring sessions in addition to their normal business duties. Businesses are expected to have a minimum viable product, business model, and revenue streams. Apply for the 2016 Venture Hive Veteran Accelerator program at fwb.venturehive.com.